Adderall Medical and Legal Classification – Is It A Narcotic? 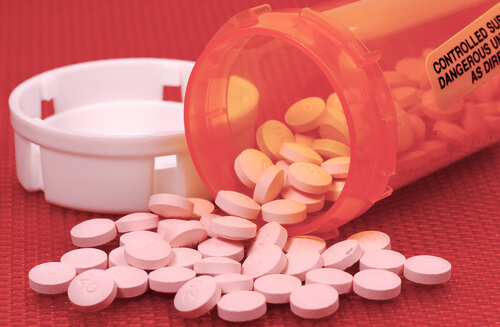 Due to being a combination of substances, Adderall can fit into a few drug classifications. The medications status depends on the context in which it is being recognized. So what classifications does the medication come under? Is Adderall considered a narcotic? Is Adderall a Narcotic From a Medical Point of View? Is Adderall a Narcotic From a Legal Point of View? In medicinal terms, narcotics are drugs that are prescribed for the relief of pain. From this point of view, Adderall is not considered a narcotic, due to being a treatment for narcolepsy and ADHD, rather than pain relief. Sometimes the substance is also used as one of the many drug detox medications, replacing a similar stimulant a patient may be addicted to, such as cocaine. This is in order to reduce withdrawal symptoms or reduce interactions, similar to those of Effexor and Adderall. Due to its drug schedule class, the medication is considered legally as a narcotic. It can be obtained legally under prescription. However, illegally obtaining or involving yourself with the substance, carries high penalties and potential jail time. Adderall street price often lures people into illegally obtaining the substance even for medicinal reasons. Despite this, the substance is often mixed with other ingredients in order to enhance the effect of the drug while using the same dose, for example, baking soda and Adderall is one of the most popular combinations. The substance can come in a few forms. Usually, it takes the form of pills. However, it can be crushed down to be snorted or taken in other ways. The method of taking the drug will often affect whether you can get high off Adderall and how quickly it occurs. Understanding whether Adderall is meth or speed takes a little understanding of the substances chemical makeup. The substance shares many similarities with speed. It is a stimulant with a very similar design. Adderall chemical formula differs a little from these methamphetamines and amphetamines; however, the effects are similar. According to the US Food and Drug Administration, legally the medication is considered a class II substance. Due to its legal status as a narcotic, it is a controlled substance. A controlled substance is a drug or combination of drugs that is monitored and therefore has to be purchased over the counter. When finding out where to get Adderall, medical professionals will always recommend a suitable location, where a prescription for the drug will be required. What Does Schedule II Mean? Drug schedules are classifications that highlight the restrictions on each drug. Schedule I drugs have the most restrictions whilst schedule V has the least. As Adderall drug class is schedule II, it is highly restricted in terms of accessing the substance. Adderall classification is regularly up for debate, due to the substances inconsistency with its class. However, the wave of people becoming addicted to the drug and similar substances highlights that measures should perhaps be tightened. This question is one many people do not know the answer to and is partly why the substance poses such a danger when unmonitored. The Adderall drug is highly addictive, and many of those addicted will even try to fake symptoms of ADHD in order to gain a prescription. This makes it even more challenging to say whether or not a classification change will help in combating the issue. Adderall lasts in system for a relatively short period of time, so it can be sometimes challenging to define whether the person was abusing it or not. Adderall controlled substance classification already ensures it is more challenging for those addicted to getting their hands on the drug; however, there is the ever standing argument that those addicted will still get their hands on the substance and will instead get a worse, cut version. The symptoms of Adderall use are usually visible when the substance is being used in excess. Whether you snort Adderall or take it as a pill, eventually addiction will develop. Addiction leads to severe health risks in both the long term and short term. It affects both your mind and body. That is why it is important to seek medical assistance for your addiction. There are a number of drug abuse treatment approaches for substance abuse. For more information on the most suitable one for you, contact a medical professional. For further advice on where to detox or even a second opinion, call our hotline at (888)-459-5511. Addiction Resource » Addictive Substances: The Anatomy of Drug Addiction » Adderall Use and Abuse: Is This Stimulant Addictive? » Adderall Medical and Legal Classification – Is It A Narcotic?